Affordable 80 keys accommodation ranges from standard to executive types of living making this hidden paradise a truly perfect destination for families, business people and travellers, a unique location to dive, relax and enjoy the unspoiled wonders of this magnificent part of the world. Hidden in the heart of Kimbe, West New Britain Province, Liamo Reef Resort captures a tranquil ambience, boasting of its diverse and abundant species of flora and fauna and modernised facilities whilst still experiencing the exotic culture of Papua New Guinea. The Resort's practical location benefits from both the nearby town as well as picturesque beach front views overlooking the clear protected waters of Kimbe Bay. 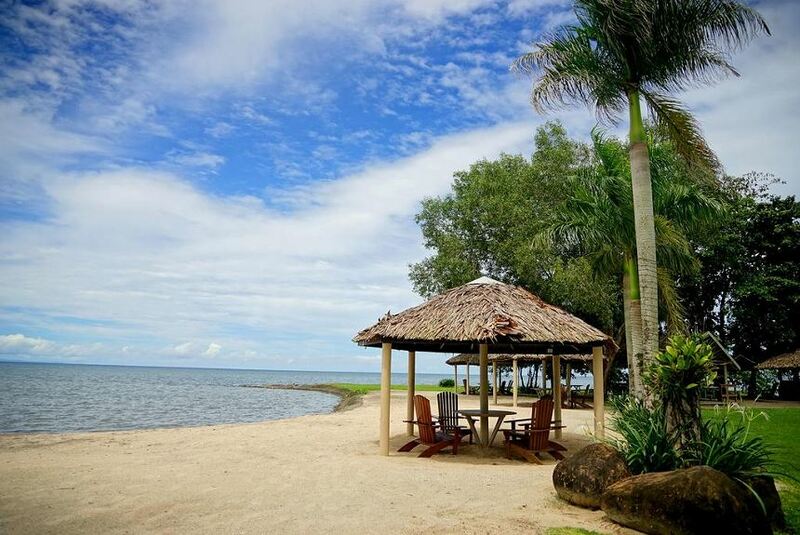 Liamo Reef Resort is located in the heart of Kimbe and has beautiful beach front views of Kimbe Bay.